I finally got the OEM rubber strap for mine and I think it fits the look of the watch best. 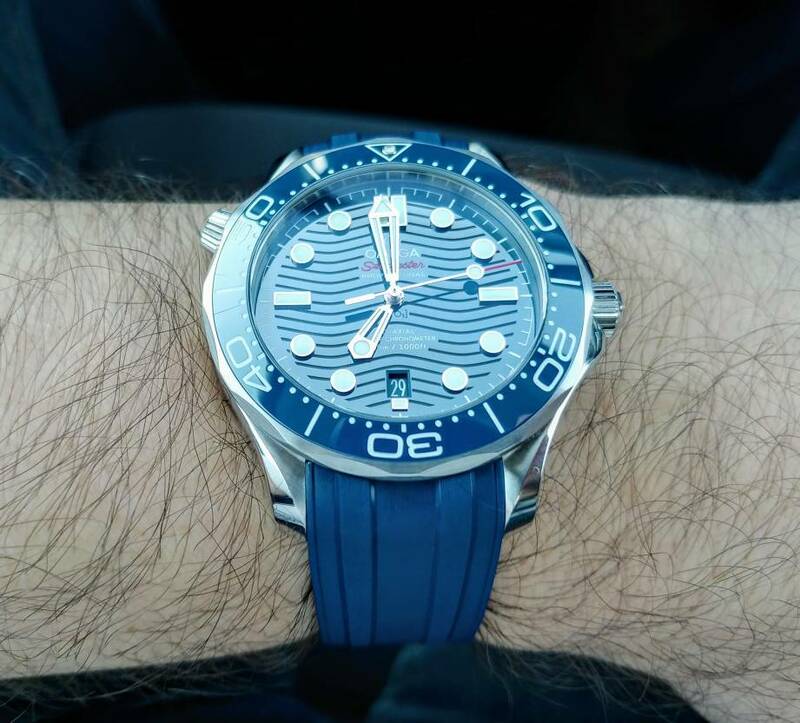 Don't get me wrong the new bracelet is a huge improvement and the adjustable clasp is very nice but I think the blue rubber really completes the look of the watch. I'm still waiting on recieving the OEM buckle as Omega seems to be severely backordered. BufordTJustice, 81sForLife and Pietros like this. People have been right about it: black works best! boatswain, Technarchy, BufordTJustice and 2 others like this. Finally arrived and it is absolutely stunning. Technarchy, BufordTJustice and Stanul like this. The black and red is really striking. And the minor color accent means that it really does go with every outfit. Met a guy from another workplace that has a 2016 Daytona Cosmo. He was awfully smitten with the SMPmc. How are the outer AR coatings on these? Do they get fine scratches with use? I'll compare the Omega to: a sapphlex Seiko Crystal from a 1996 quartz diver (a sandwich of mineral hardlex crystal bonded to an outer layer of real sapphire), a sapphire Crystal in my Seiko kinetic Tuna, a sapphire Crystal in my Tag SeL, and more ruined mineral crystals than I can even count across cheap watches I used to wear to work. I was, and continue to be, fearful that the 2018 SMPmc will gain a scratch on the AR coating on the outside of the crystal. HOWEVER, this fear is appearing more and more to be largely unfounded. I have made, on more than one occasion, direct and forceful contact with the Omega's Crystal and the following: sharp metal edges from sharp-stamped metal pieces inside of workstation and server chassis, rusty Porsche mufflers, drywall, stucco, decayed stucco, an aluminum road sign pole, a car door, a powder coated steel loudspeaker stand, and my 90 pound German Shepherd's canine incisor (thought I chipped his tooth). 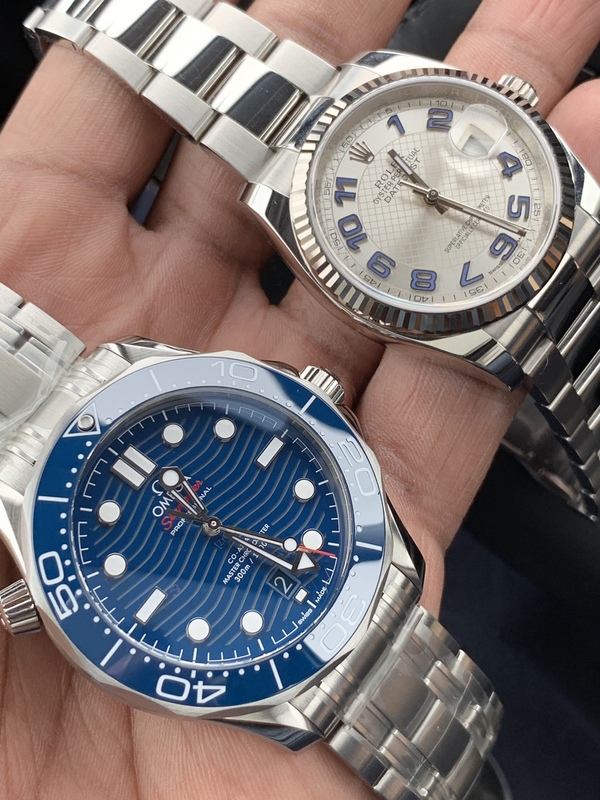 Long story short, the Omega AR coating is holding up just as well as any of the above listed watches under shamefully similar circumstances. Further, my wife has an ORIS Aquis diamond date that she has, to put it kindly, ABSOLUTELY PUNISHED. 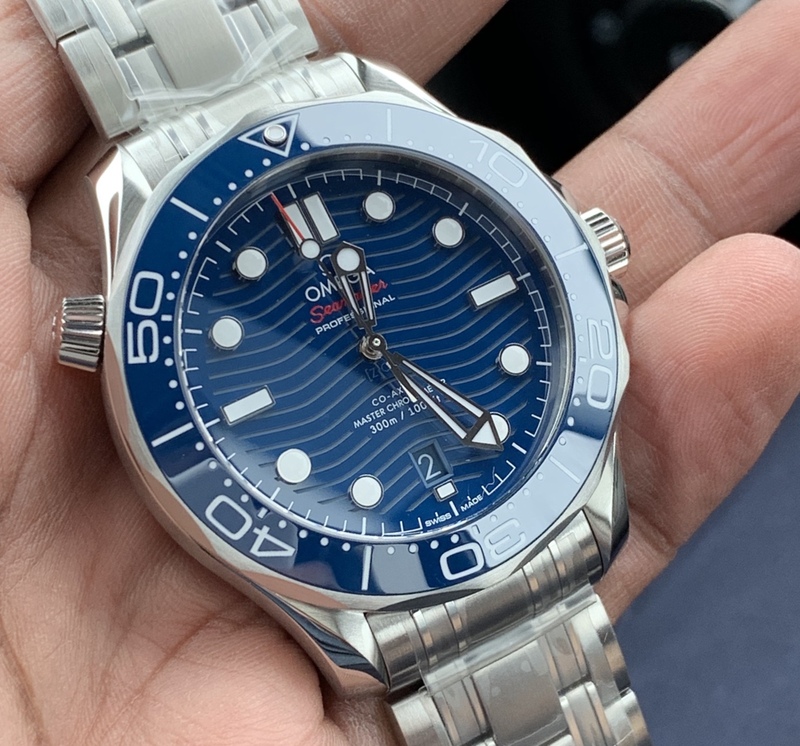 The Omega Seamaster and her Aquis crystals both remain pristine. At many different points, I have winced and cringed as my beloved Omeeega made more than incidental contact with the above listed items. Not a single scratch or imperfection so far. Now, I'm a realist. I'm going to scratch this Crystal. I wear the watch every single day and do EVERYTHING while wearing it. I'm about to replace the spark plugs and coils in my 911. It's just a matter of time. But, I'm adjusting to the reality that a watch can be this pretty and THIS TOUGH at the same time. Note: I routinely will run water over the crystal prior to gently cleaning it with a clean, soft cloth. I never try to clean it while dry, even with a microfiber lens cleaning cloth. Pietros and htrap2294 like this. 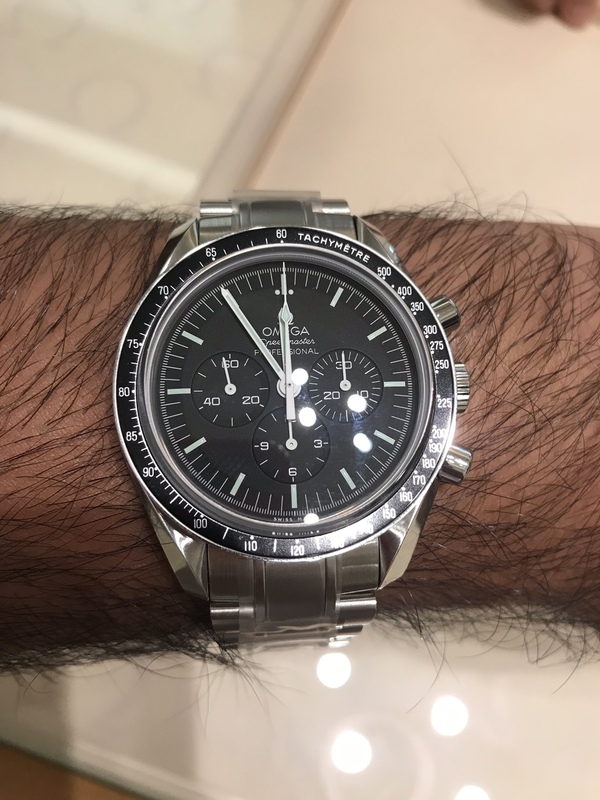 Tried it on, also cross shopping the Speedy Pro. What do y’all think? I have 7.5 inch wrists (blessed, thanks god). Oh man. Two really solid choices. What are your feelings about each watch?